Address: La Graciosa, 7, Puerto del Carmen (Lanzarote), Islas Canarias. 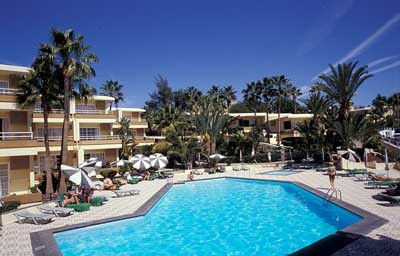 Labranda El Dorado are situated in Puerto del Carmen, less than 500 metres from the beach. The complex features well-equipped apartments, gardens and an outdoor swimming pool. Apartments at the Labranda El Dorado complex are spacious and have a living room with sofa bed and satellite TV. Kitchens feature a fridge and coffee-maker. Air conditioning, central heating and a safe are available for an extra charge. Facilities at Labranda El Dorado include a restaurant serving tapas and international dishes. It also has a cocktail bar and snack bar. The Labranda El Dorado complex is located in the centre of Puerto del Carmen and 10 minutes’ drive from Tias. The apartments are a 20-minute drive from Timanfaya National Park and less than 7km from Lanzarote airport. Please inform Labranda El Dorado in advance of your expected arrival time. You can use the Special Requests box when booking, or contact the property directly with the contact details provided in your confirmation. Please note that air conditioning, central heating and a safe are available for an extra charge.